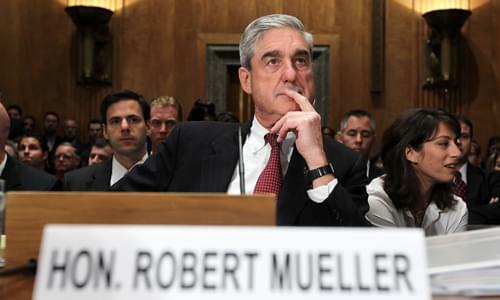 On Tuesday’s Mark Levin Show, We hear that Robert Mueller is winding down and preparing his report for the Deputy AG, but he should be preparing the report for the acting AG Matthew Whitaker. The US Dept. of Justice Memorandum clearly states that the Special Counsel must comply with DOJ regulations and cannot be indicted by Mueller and is not in legal jeopardy. Yet all the fools in the media can’t seem to connect these dots. Mueller can still write a report filled with attacks but it seems that he ought to be speaking in the courtroom or not at all. It is not the role of the special counsel or the DOJ (executive branch) to lead a political process like impeachment. Simply put, the president of the United States cannot be indicted and will not be indicted. Moreover, Trump has not obstructed justice. The same people that want to destroy our border, embrace socialism in our country, and the same people that are trying to undo the results of the 2016 election are the same people trying to sabotage the presidency of Trump. The media is a function of what is best for the citizenry not what’s best for their ideology. Also, Sen. Bob Dole gave a final salute to President George H.W. Bush as he lay in state in the Capitol Rotunda. He stood and saluted with the help of an aide to pay his respects. Both Bush and Dole are part of the passing generation and people who are very young today, won’t see this very special generation. There was no discussion about who uses what restrooms in this generation. No discussion about safe spaces or being triggered. These were real men and real women; let’s hope we can get some of that back.